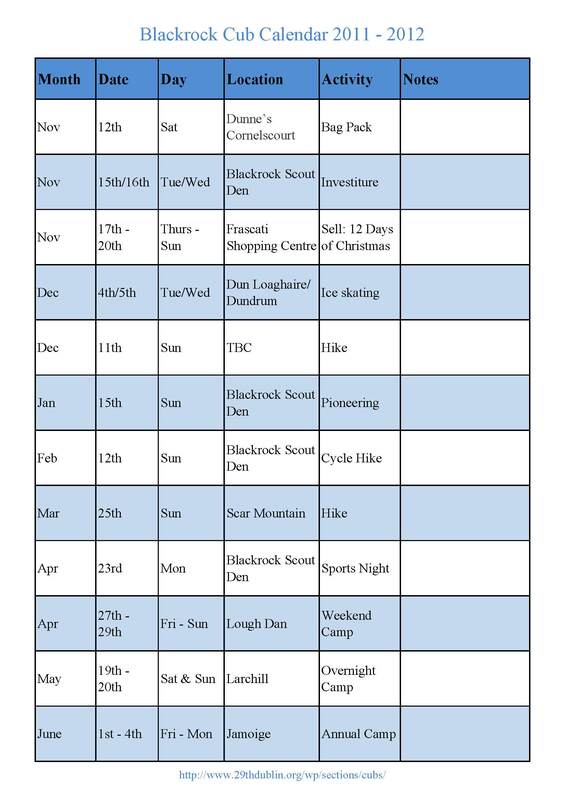 Hear is a list of the activities the Cub Section will be doing in the Scouting year 2011-12 Dates2011-2012(PDF Version). Please remember that these are only provisional dates and are subject to change at any stage. If you have a query on any of the please contact your Section Leader. Equipment lists can be found on this site as well for those overnignhts and longer camps.